Teledyne DALSA expands its Piranha4 dual line CMOS camera family with 4K and 2K resolution models. The new Piranha4 models offer higher speeds and more responsive pixels in a choice of sizes and resolutions. 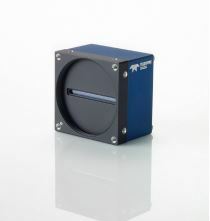 Programmable features include multiple region-ofinterest, high dynamic range operation, and rapid bi-directional switching, and are designed to meet today’s demanding imaging applications.